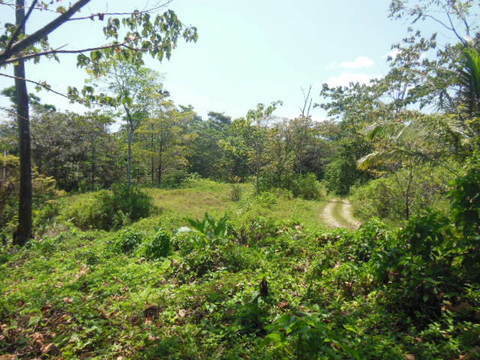 NORTH CARENERO BEACHFRONT LOT #2 HAS 4097 SQ MTS OF TITLED LAND NEAR POPULAR SURF BREAKS, SNORKEL REEFS AND NATURE TRAILS. As a major bonus, electricity has recently been brought up to the next lot over. This possibly may be the best location that has a white sandy beach property this close to Bocas Town, that available on the market today. There are 24 one acre lots in this Punta Brown project. Many lots are owner land banked and will not see houses built in the next coming years, perfect for privacy. You can walk to the famed Carenero surf breaks. This is a beautiful beachfront lot with a hilltop building site that affords the viewer an incredible view of the Caribbean Sea and the island of Colon. 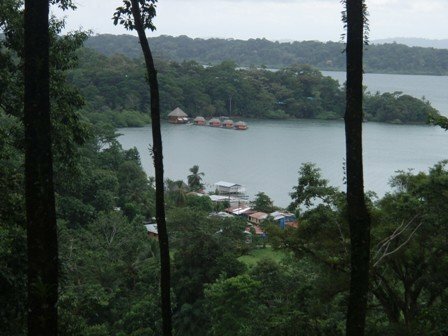 Less than 5 minutes by boat from Bocas Town, every lot has its own boat slip and there is an on-site caretaker who maintains the property,including its hiking trails. The combination of beachfront, hilltops, a boat slip and being so close to Bocas when combined with the fact that the property is titled make this an excellent value.Even with a boat slip you do not need a boat as water taxis can take you to and from town most anytime. The home association does not allow commercial businesses, however you can rent out your house and a guest cabin. This property will not last long, so hurry on this one! Come see us for a viewing ASAP!! !